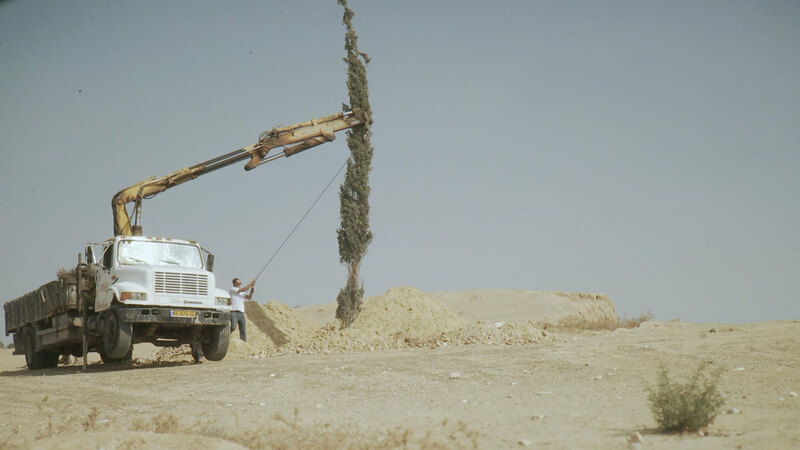 In the desert landscape between Ofakim and Beer Sheva, a truck with drilling equipment arrives, noisily digs two vertical piers in the ground, and departs. A cypress tree and palm tree are buried in their entirety in these two vertical piers. It is the exact opposite of what one would expect for a place so gravely in need for preservation and development. 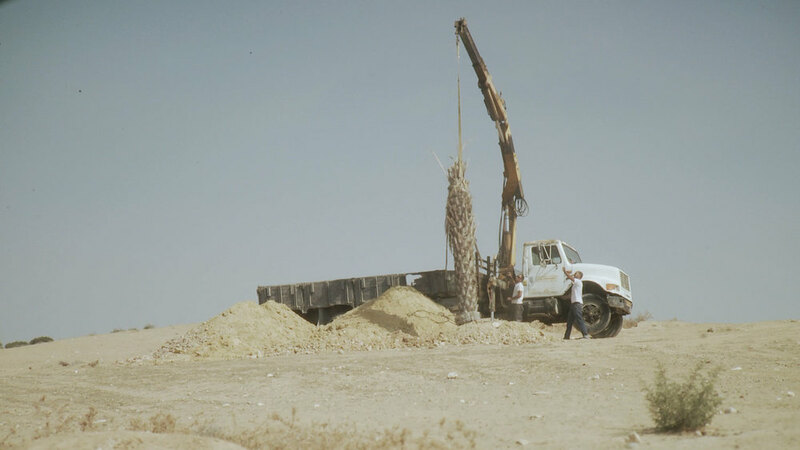 The desert and its oasis are raped, being helpless against the drilling and the dumping of two concrete blocks that signify the ultimate symbol of modernism.